The SMEs Go Digital Programme was first mentioned by Finance Minister Mr. Heng Swee Kiat during Budget 2017 in February to help Small and Medium Enterprises (SMEs) keep up with the pace of technological change in the digital economy. The programme will be implemented by IMDA together with SPRING and other sector lead agencies. SMEs will be provided advice on technologies to use as they grow through the sectoral Industry Digital Plans, starting with the sectors where digital technology can significantly improve productivity, such as Retail, Food Services, Wholesale Trade, Logistics, Cleaning and Security. 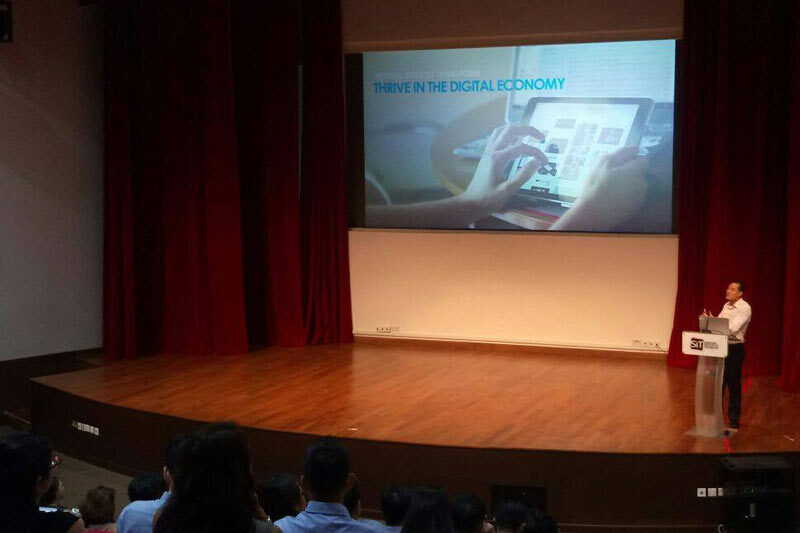 Today, IMDA officially recognised fifty digital solutions for SMEs under the SMEs Go Digital Programme. Announced at IMDA’s inaugural SMEs Go Digital Industry Briefing, these solutions are now pre-approved for SMEs to choose from, providing reliable and proven tech and services. The pre-approval process for the proven digital tech solutions aims to raise SMEs’ digital readiness. The criteria centres on functionalities meeting SMEs’ requirements, solutions’ ease of use, pricing affordability and ICM suppliers’ capability and capacity. Moving forward, beyond typical requirements to enhance productivity and drive transformation, digital capabilities such as cybersecurity, data protection, data analytics and inter-operability will be considered in pre-approved solutions, which would better enable SMEs to thrive in the digital economy. One such solution that helps local food suppliers to move into the China market is veriHUB, a cloudbased application developed by veriTAG. This one-stop solution offers services from supplier/product registration to shipment and custom clearance. The pre-approved digital solution has enabled SME food supplier, Cheng Yew Heng, to readily export its sugar products to China, by using cloud-based tagging and authentication technology to comply with the country’s food import regulation. Together with the inventory tracking feature and links to the country’s major e-commerce hubs, the company was able to achieve 200% more exports to China due to a faster turnaround in the exporting process. ICM suppliers who are keen to have their digital solutions pre-approved under the SMEs Go Programme can visit: http://www.imda.gov.sg/smesgodigital for more details. SMEs who are keen to adopt digital solutions can contact the nearest SME Centres. For SMEs that require solutions beyond these pre-approved solutions, a SME Digital Tech Hub will be set up towards the later part of the year to provide them with more tailored advice. For the full list of the fifty pre-approved digital tech solutions, visit here.